Five petitions of intervention have been filed at the Supreme Court in support of the President’s decision to dissolve Parliament and call a General Election. The petitions were filed by Ministers Udaya Gammanpila and Vasudeva Nanayakkara, Chairman of the Sri Lanka Podujana Peramuna Professor GL Peris, attorney Premanath Dolawatte and Dr. Channa Jayasumana this morning. The hearing of the 11 petitions filed before the Supreme Court challenging the dissolution of Parliament commenced at 10 this morning. 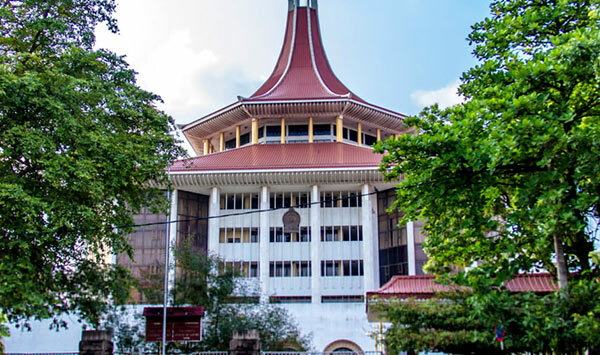 A Supreme Court bench headed by Chief Justice Nalin Perera began the consideration of the petitions filed by political parties, over the dissolution of Parliament. A total of 11 petitions have been filed at the Supreme Court so far, against the issuance of Gazette 2096/70 by President Maithripala Sirisena on Friday, dissolving the eighth Parliament. The petitions cite that following the enactment of the 19th Amendment to the Constitution, the powers of the Executive to dissolve Parliament have been limited. Accordingly the petitioners are seeking an order to annul the Gazette issued on Friday.